On this day in history, August 3, 1780, Benedict Arnold is given command of West Point. Arnold was trained as a pharmacist and opened a pharmacy and bookstore in New Haven as a young man. He was involved in many mercantile ventures, including owning his own ships that made frequent voyages to the West Indies. 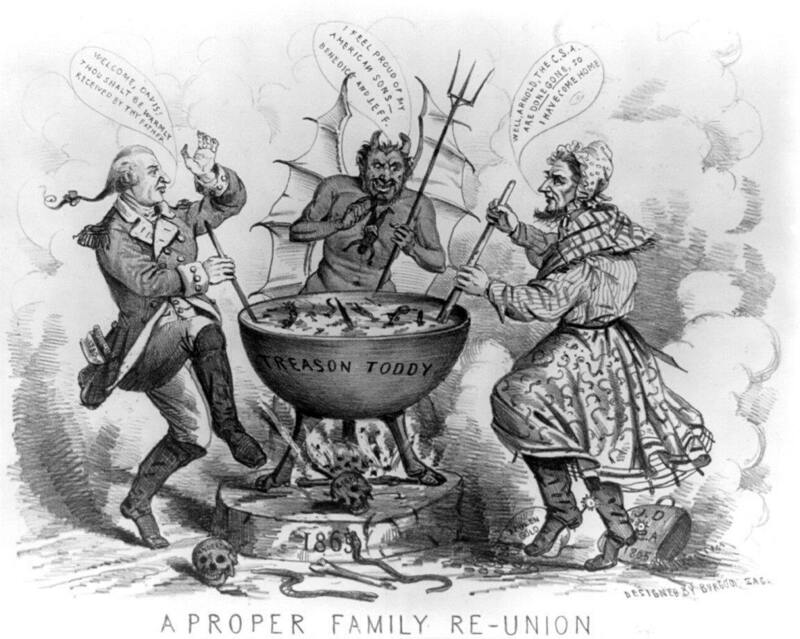 The British acts such as the Sugar Act and the Stamp Act greatly harmed Arnold's business. He was soon in debt and involved in anti-British groups such as the Sons of Liberty. When the American Revolution broke out, Arnold was appointed a captain in the Connecticut militia. He went to the Siege of Boston and participated in the capture of the cannons at Fort Ticonderoga. Arnold led 1100 men across the Maine wilderness to assist in the invasion of Canada, a journey which saw 300 deserters and several hundred succumb to illness. In Canada, Arnold led troops that laid siege to Quebec City, a battle in which his leg was severely injured. During the retreat from Canada, Arnold was placed in charge of Montreal for a time. He later built a fleet on Lake Champlain, which, though it was destroyed by the British, successfully delayed an invasion down the lake. Arnold was turning out to be a brave and well-known soldier by this time, but he was also beginning to make enemies. He was headstrong and appeared to be too interested in financial gain. He often clashed with his superiors. The first of many accusations arose that led to a near court-martial. After Canada, Arnold was given command of troops in Rhode Island and participated in the Battle of Ridgefield, Connecticut, where he was wounded again in the left leg. Arnold was deeply offended when others were promoted to general over him. Arnold was sent to New York in 1777 where he won acclaim for his role in the Battles of Saratoga, but where he also had a public feud with General Horatio Gates and disobeyed his orders. Arnold's leg was severely injured yet again and he spent the winter at Valley Forge, after which he was given command of Philadelphia, which was recently evacuated by the British. During his time in Philadelphia, Arnold became more and more intertwined with local Loyalists. He became involved in a series of business deals that earned him a court-martial for using his position for personal gain. Fuming from the convictions and still angry for being passed over for promotions, Arnold sent an offer to supply intelligence on American movements to the British. The agreement developed into a plan to surrender West Point, the most strategic place on the Hudson River, to the British for a large sum of money when Arnold was placed in command there on August 3, 1780. The plan was discovered, but Arnold was able to escape to the British lines before being captured. He was made a brigadier general in the British army and soon led an invasion of Virginia, which destroyed Richmond and wreaked havoc through the state. Arnold later led an invasion of Connecticut which destroyed much of New London and captured Fort Griswold. 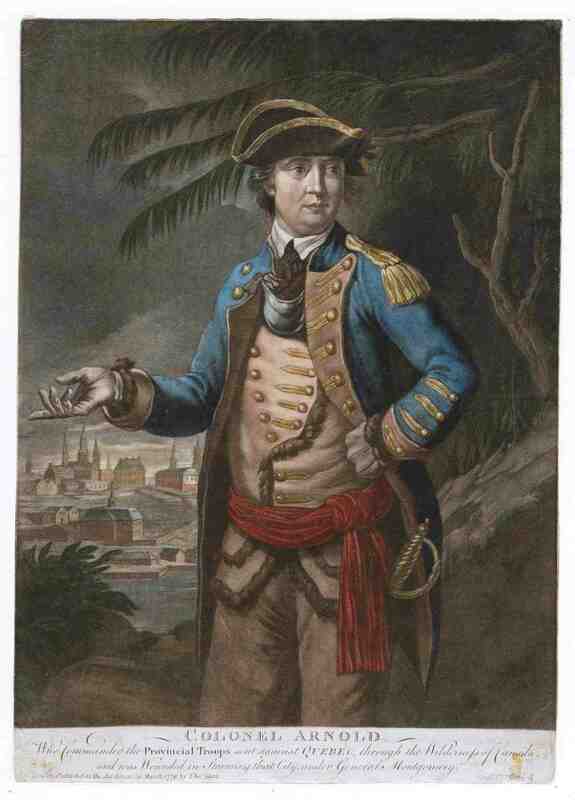 After Cornwallis' surrender, Arnold sailed for England, where he lobbied for more attacks in America. After the war, and unable to serve in the army due to his injuries, Arnold tried unsuccessfully for years to get another government appointment. Arnold eventually established another shipping business in New Brunswick, Canada in the late 1780s, but he was forced to leave after several bad business deals. He died deeply in debt back in London in 1801. As you probably know, Arnold's name became synonymous with "traitor" in the United States, a tragedy underscored by Arnold's heroism and valor in the early days of the Revolution.